Disney Donna Kay: Best. Week. Ever. The last week of my life has been pretty awesome!! First of all I got to meet two AMAZING friends face to face FINALLY!! My (way too short) visit to Walt Disney World was unforgettable. I didn't know I could love Didi & Stacey more than I already did, but it happened. 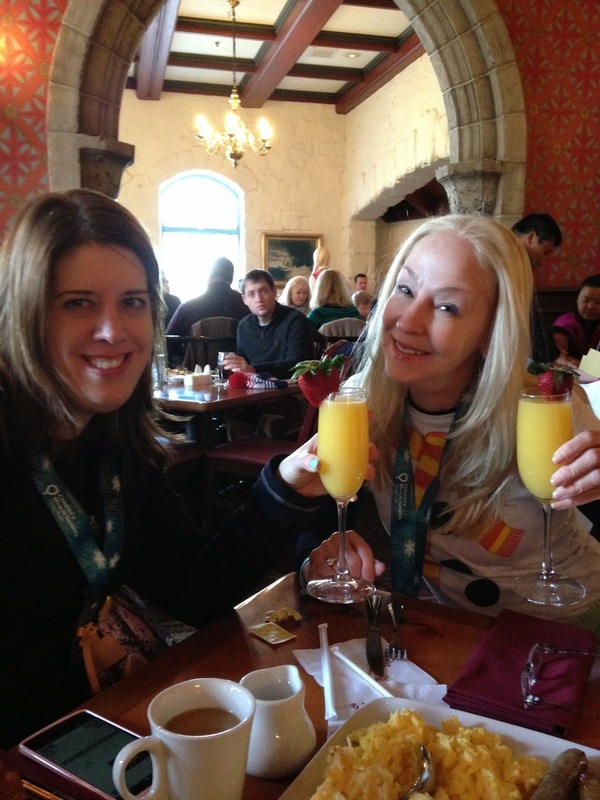 Definitely two lifelong friends - we are retiring together at Disney, right ladies? Secondly, I ran in my first runDisney event!! 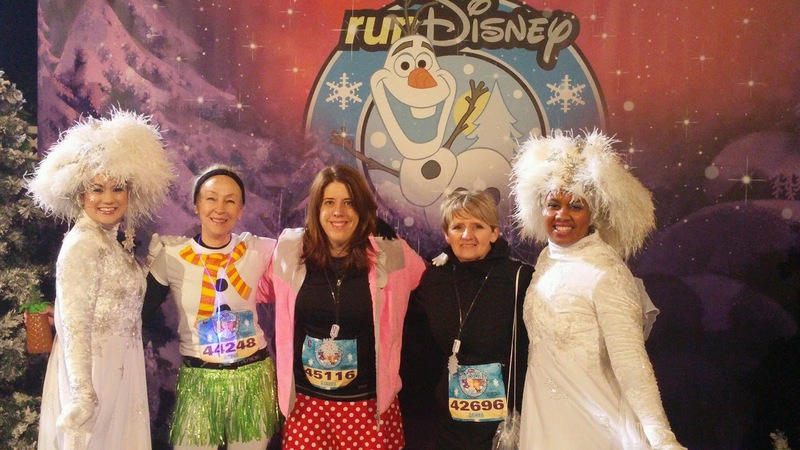 It was only the Frozen 5K, but trust me I can see how it could easily become addicting!! Didi & Stacey were super sweet to slow down to my pitiful pace, and it was much appreciated. Ironically as we crossed the finish line "Sweet Home Alabama" was playing, they must have known I was about to finish. Next, I got to meet Aurora, if you have read my blog at all you already know she is the BEST PRINCESS-period. She was amazing, as were all of the princesses (Belle, Cinderella, Snow White & Ariel) at Askerhus. If you have a Walt Disney World trip planned it is a MUST DO - worth every penny!! We had them sign our race bibs- one of my favorite souvenirs from the trip. I cannot begin to tell you how excited I am!! Thank each and every one of you who stopped by for Disney trip info, party ideas or to read one of my crazy lists I did when my little ole blog first started. It means so much to me. This blog has become so much of my identity since it started, I cannot imagine my life without it or all of you!! Thanks :D!! There's no one in the world I would rather have been there than you! !